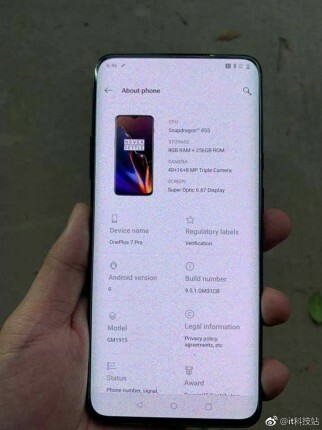 The source calls the phone the OnePlus 7 Pro and bears the GM1915 model name. 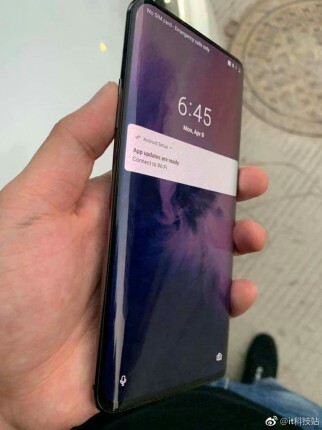 The about section in one of the images reveals the device is packing a 6.67" Super Optic display, Snapdragon 855 with 8GB RAM and 256GB storage. The cameras have 48MP, 16MP, and 8MP sensors. Please, please please no curved screen.